A Valley Township employee has been arrested after the Chester County District Attorney’s office said she embezzled more than a quarter of a million dollars from the township, and used the money to go on a shopping spree. Donna Groff, 70, of West Bradford, who handled cash payments by township residents for their water, sewer, and trash bills, was arrested Monday. She was fired by Valley officials after the theft was discovered. She worked for the township for 10 years. Township officials on Wednesday referred questions to Philadelphia attorney Neil A. Morris of the Offit Kurman law firm, who has assisted the township in employee matters for years. “The township was of course shocked to find out that such a loyal and trusted long-term employee had been stealing from the township,” Morris, who has had past experience with township labor issues in Kennett, New Garden, and Valley, said in a telephone interview. He said that as soon as the thefts were uncovered, the township brought in a forensic accountant to review its finances and procedures. Those findings were shared with investigators, with whom the township continues to work. Since then, new procedures have been put in place along with the township’s normal safeguards, Morris said. 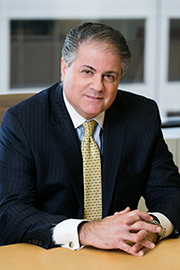 Neil A. Morris is Chair of the firm's Philadelphia Labor and Employment Group. He has passionately represented employers for the last 30 years. He concentrates in the areas of labor and employment, municipal labor law, employment discrimination, defamation defense, commercial litigation, and business litigation. He has served as Special/Labor Counsel for more than 35 Pennsylvania Townships and Boroughs, the County of Bucks and many private employers. He is often brought into municipalities to handle "crisis" situations involving employees and/or management. Mr. Morris handles cases throughout the country including Pennsylvania, New Jersey, Colorado, Hawaii, Maryland, Mississippi, South Carolina and West Virginia. In 1999, Neil achieved one of the highest defamation jury awards ever in Pennsylvania for a business client. He also has extensive appellate experience arguing appellate cases before the Pennsylvania Supreme Court, Superior Court and Commonwealth Court as well as various Federal District Courts and before the U. S. Court of Appeals for the Third, Fourth and Tenth Circuits. Mr. Morris has also argued successfully before the Mississippi Supreme Court. Mr. Morris practices before many federal and state administrative agencies, including the National Labor Relations Board; the United States Department of Labor; the United States Equal Employment Opportunity Commission; the Pennsylvania Labor Relations Board and the Pennsylvania Human Relations Commission. Offit Kurman is one of the fastest-growing, full-service law firms in the Mid-Atlantic region. With over 150 attorneys offering a comprehensive range of services in virtually every legal category, the firm is well positioned to meet the needs of dynamic businesses and the people who own and operate them. Our eleven offices serve individual and corporate clients in the Virginia, Washington, DC, Maryland, Delaware, Pennsylvania, New Jersey, and New York City regions. 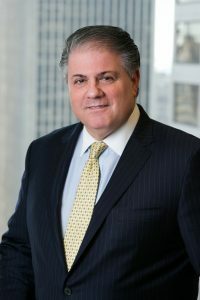 At Offit Kurman, we are our clients’ most trusted legal advisors, professionals who help maximize and protect business value and personal wealth. In every interaction, we consistently maintain our clients’ confidence by remaining focused on furthering their objectives and achieving their goals in an efficient manner. Trust, knowledge, confidence—in a partner, that’s perfect.